Lighting plays a pivotal part in all dealership settings including: offices, sales floor, service bays, and parking lot. A car dealership has a plethora of different lighting needs. Lighting plays a pivotal part in all dealership settings including: offices, sales floor, service bays, and parking lot. Sitler’s LED Supplies has a large array of in stock LED products that will provide the proper lighting for every area in the dealership. LED lighting showcases cars in their truest form and how they were intended to be shown. With a natural daylight lighting, even at night in the parking lot, the cars shine and stand out. Many car dealerships wait for a large quantity of lights to fail in the parking lot until they change them due to having to rent a lift/bucket truck. 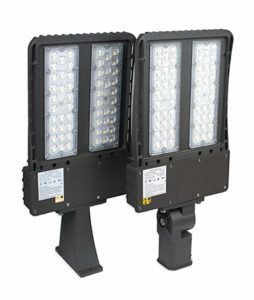 With switching to LED, these change outs will occur less often and maintenance costs will be greatly reduced. Vandalism is a common and unfortunate occurrence with many car dealerships. With increased outside lighting, vandalism will occur less frequently. Security cameras will also be able to pick up images more clearly. LED lighting is a much higher quality than conventional fluorescent lighting. LEDs make the car dealership feel cleaner and more inviting.